While I'm happy that they carried-over a lot of MP9 parts, I'm disappointed that they didn't improve maintenance/access. EZ-access front/rear diffs are pretty standard among most top brands by now. Complacency doesn't suit you, Kyosho. Last edited by captain america; 12-18-2018 at 09:31 PM. ....split center diff mount would have been great, as would arms with replaceable stiffners like most have these days. At least they got rid of the front upper arms and went to a turnbuckle!!! The body looks ugly lol. I might be sticking with the mp9 body. New arms but they don’t look solid like some have mentioned. Comes with an extended lower engine mount plate so that’s a nice upgrade. I noticed the front shocks are layed down now?? 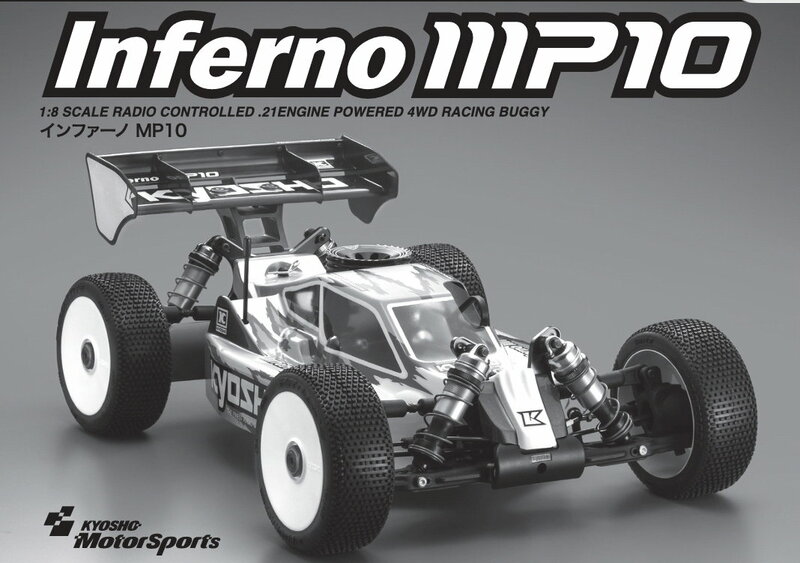 I noticed new part numbers for chassis and dirt guards, front and rear arms, rear uprights, all 6 uni’s, a,b,c,d plates, front and rear towers, wing mount, and body. I’m sure that I missed a few. It will be interesting to see which anodizing will be included. Can’t wait! sooooo ....... how did this get put out? Last edited by F1nggy; 12-19-2018 at 01:51 AM. gotta say, that is pretty disappointing - they should’ve called it a TKI 5 at best. Sometimes you can just change words in the webadress and voila. Documents are not put out on the web, but it is in the server and then you have acsess. i found new RB engiens many years gao, but did not go futher with it.I have akso found amplifieres, loudspekaers +++ this way. i figured on Japanese efficiency. Just went to their support site and there it is for anyone to see.